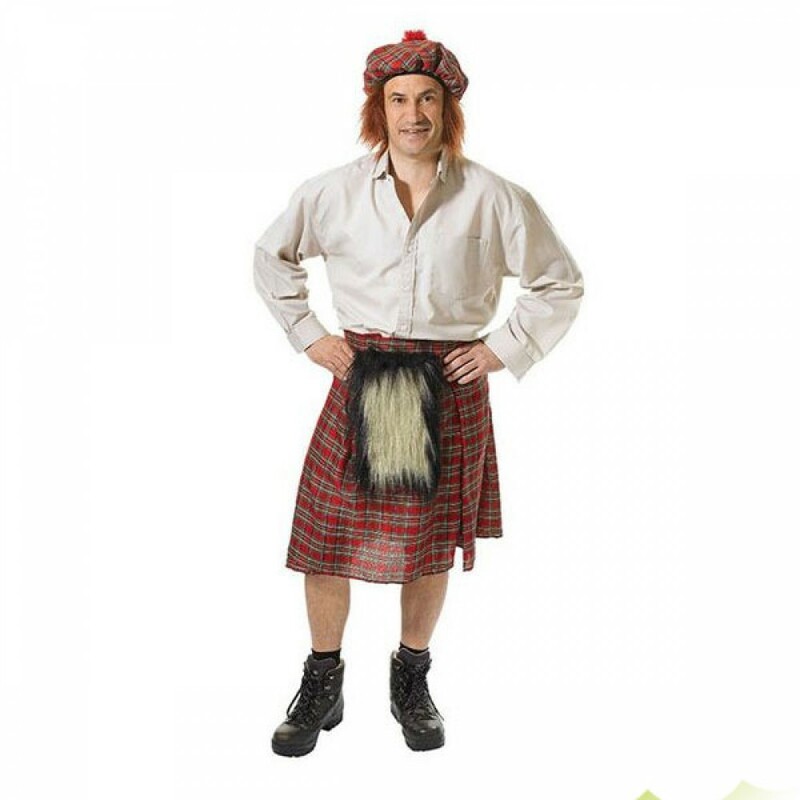 This Scotsman costume includes Kilt with attached Sporran & Hat with attached Ginger Wig – fun for any fancy dress occasion! This classic Scotsman costumes includes everything you need for this fun look! The red tartan kilt has a Velcro fastening (9” tab for adjustable sizing) and measures 24” in length. The attached furry sporran is a sewn pouch (please note it is not a functional pouch). The matching hat has a ginger wig attachment at the front and a fun fluffy ball detail on the top. The hat has an elasticated rim. The outfit is available in One Size, to fit most. Size guidelines: Waist up to 38”-40” but would also fit a much smaller waist size. The outfit includes Kilt (with attached Sporran) and Hat (with attached hair). Please note that the shoes and shirt are not included.